ROCK ROSE HYDROLAT: a powerful anti-wrinkle treatment exhibiting micro cluster behavior in the way it plumps cells and smoothes fine lines. PATCHOULI: in skin care it offers an action on the regeneration of cells, moistening and cooling to the skin. Ideal for inflamed skin conditions. WHITE GRAPEFRUIT: in skin care is great for treating oily and inflamed, as well as having a tonic effect. FRENCH VIOLET: high in antiseptic properties this gives excellent results in treating acne and balancing oily skin. High tonic action. Aromatherapy Therapeutic Benefits: aids in meditation, channel clearer, centering, stabilizing effect on the mind. Use: Can be combined with face serums to assist in blending. Use throughout day + night to calm the nervous system, perfume the body + hydrate skin. 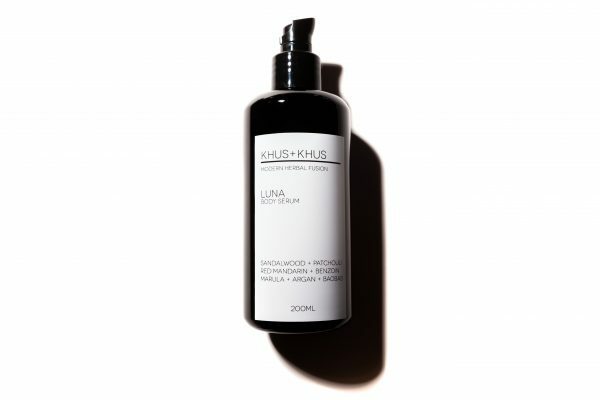 I use this hydrolat with the detox face serum from KHUSKHUS and love the combination! I use the hydrolat throughout the day whenever I feel I need some plant healing and instantly feel more calm and relaxed. This hydrolat has become a staple in my skin care routine and would recommend to anyone!! I use this with the DETOX face serum, I love the smell of rock rose I’m addicted! !